Kandy - Kandy. - Locations in Sri Lanka. Kandy is a major city in Sri Lanka, located in the CentralProvince, Sri Lanka. It is the second largest city in the country afterColombo. It was the last capital of the ancient kings' era of Sri Lanka. Thecity lies in the midst of hills in the Kandy plateau, which crosses an area oftropical plantations, mainly tea. 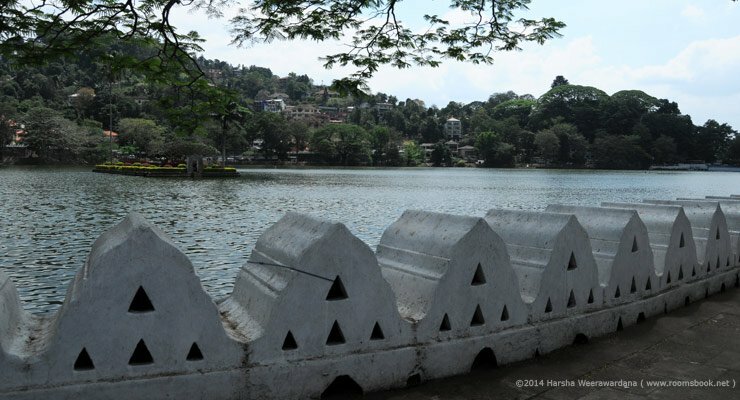 Kandy is both an administrative and religiouscity and is also the capital of the Central Province. 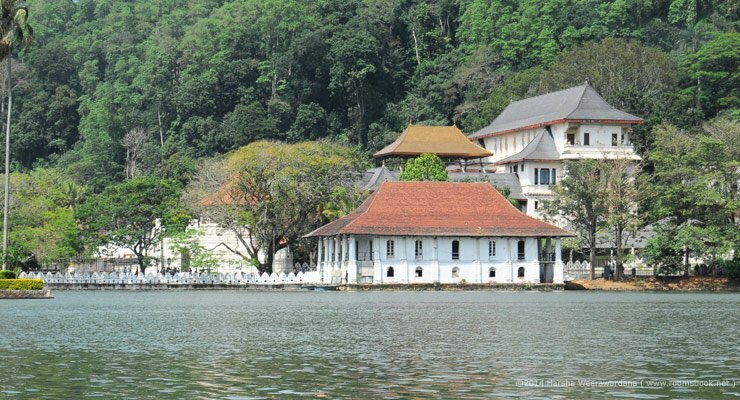 Kandy is the home of TheTemple of the Tooth Relic (Sri Dalada Maligawa), one of the most sacred placesof worship in the Buddhist world. It was declared a world heritage site by UNESCO in 1988. The city and the region has been known by many differentnames and versions of those names. 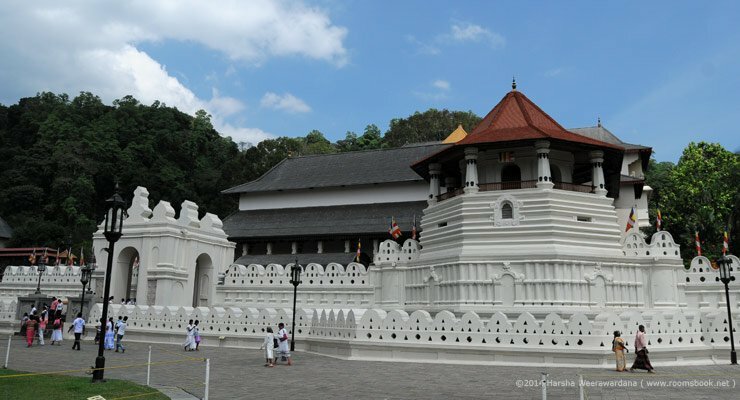 Some scholars suggest that the original nameof Kandy was Katubulu Nuwara located near present Watapuluwa. However the morepopular historical name is Senkadagala or Senkadagalapura, officially Senkadagala Siriwardhana Maha Nuwara (meaning 'great city of Senkadagala ofgrowing resplendence'), generally shortened to 'Maha Nuwara'. According to folklore this name originated from one of theseveral possible sources. One being the city was named after a brahmin with thename Senkanda who lived in a cave near by, and another being a queen ofVikramabahu III was named Senkanda, and after a coloured stone named Senkadagala. The Kingdom of Kandy has also been known by various names. TheEnglish name Kandy, which originated during the colonial era, is derived froman anglicised version of the Sinhalese Kanda Uda Rata (meaning the land on themountain) or Kanda Uda Pas Rata (the five counties/countries on the mountain) .The Portuguese shortened this to 'Candea', using the name for boththe kingdom and its capital. In Sinhalese, Kandy is called Maha Nuvara, meaning 'Great City' or 'Capital', although this is most oftenshortened to Nuvara, pronounced Nuwara. Historical records suggest that Kandy was first established by the Vikramabahu III (1357–1374 CE), who was the monarch of the Kingdom of Gampola, near the Watapuluwa area, north of the present city, and named Senkadagalapura at the time. Sena Sammatha Wickramabahu (1473–1511) was the first king of the Kingdom of Kandy, he was a royal from the Kotte Royal Blood line and ruled Kandy as a semi-independent kingdom under the Kingdom of Kotte, making it the new capital of the Kandyan Kingdom. Sena Sammatha Wickramabahu was followed by his son Jayaweera Astana (1511–1551) and then by Karaliyadde Bandara (1551–1581) who was succeeded by his daughter Dona Catherina of Kandy (1581-1581). Dona Catherina was succeeded by Rajasinha I. Rajasinha I however, preferred to rule the hill country from the Kingdom of Sitawaka on the west of the island. A period of turmoil for power ended with the ascent to the throne by Konappu Bandara who came to be known as Vimaladharmasuriya I. Vimaladharmasuriya I having embraced Buddhism consolidated his authority further by bringing the tooth relic of the Lord Buddha to Kandy from a place called Delgamuwa. In 1592 Kandy became the capital city of the last remaining independent kingdom in the island after the coastal regions had been conquered by the Portuguese. Several invasions by the Portuguese and the Dutch (16th, 17th and 18th century) and later by the British (most notably in 1803) were repelled. The Dutch launched a better adapted force in January 1765, replacing their troops' bayonets with machetes and using more practical uniforms and tactics suited to jungle warfare. The Dutch were initially successful in capturing the capital, which was deserted, and the Kandyans withdrew to the jungles once more, refusing to engage in open battle. However, the Dutch were again worn down by constant attrition. A peace treaty was signed in 1766. The Dutch remained in control of the coastal areas until 1796, when Great Britain took them over (while the Netherlands under French control) as part of the Napoleonic wars. British possession of these areas was formalized with the treaty of Amiens in 1802. The next year the British also invaded Kandy in what became known as the First Kandyan War, but were repulsed. The last ruling dynasty of Kandy were the Nayaks. Kandy stayed independent until the early 19th century. In the Second Kandyan War, the British launched an invasion that met no resistance and reached the city on February 10, 1815. On March 2, 1815, a treaty known as the Kandyan Convention was signed between the British and the Radalas (Kandyan aristocrats). With this treaty, Kandy recognized the King of England as its King and became a British protectorate. The last king of the kingdom Sri Vikrama Rajasinha was captured and taken as a royal prisoner by the British to Vellore Fort in southern India along with all claimants to the throne. Some of the family members were also exiled to Tanjore (now known as Thanjavur, in Tamil Nadu). Their erstwhile living place is still referred to as "Kandy Raja Aranmanai" on the eastern part of Thanjavur town on Old Mariamman Koil Road. In 1848 led by Gongalegoda Banda and Puran Appu saw the rebellion known as the Matale Rebellion. Prior to that the city and the country had been under British rule for 32 years, in which the British had expropriated the common land of the peasantry and reduced them to extreme poverty. The Kandyan villagers were forced to abandon their traditional way of life and become wage-workers in the abominable conditions that prevailed on these new estates and plantations that had been introduced, despite all the pressure exerted by the colonials the Kandyans refused. This forced the British to bring in hundreds of thousands of Tamil coolies from southern India. The Rebellion began on the 26 July 1848 with Gongalegoda Banda, crowned as king, and Puran Appu, as prime minister, and their main objective to capture Kandy back from the British. The Matale Rebellion was a peasant revolt in the hands of the Common people, the Kandyan leadership being totally wiped out after the Uva Rebellion, marked the first step in a transition from the classic feudal form of anti-colonial revolt to modern independence struggles. The leadership was for the first time passed from the Kandyan provinces into the hands of ordinary people or non-aristocrats.